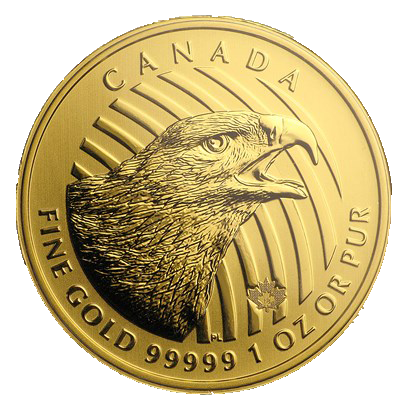 The Golden Eagle is the fifth release in the RCM’s spectacular “Call of the Wild” series. This series features the mighty, boisterous species that make up the Canadian landscape. Showcased in the finest .99999 fine Gold with a high face value of $200. The “Call of the Wild” series by the RCM has been tremendously popular since its inception in 2014. 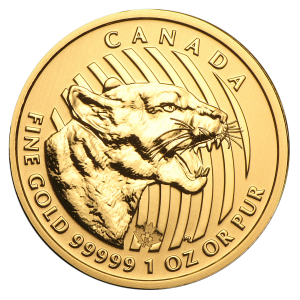 Beginning with the Howling Wolf, Growling Cougar, Roaring Grizzly, then the Elk as the last release, this series does a phenomenal job of offering the highest quality Gold coins to investors and collectors. 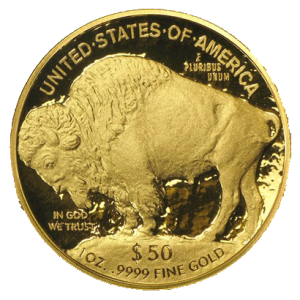 With limited mintage’s and an extremely high face value of $200, it’s easy to see why so many have added these specimens to their collections. 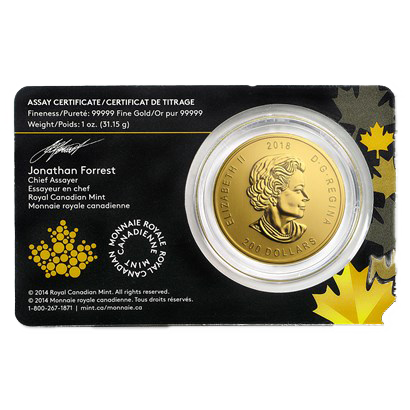 Contains 1 oz of .99999 fine Gold. Individually housed in a card with an assay certificate. 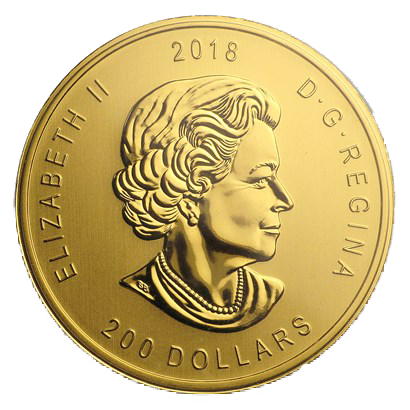 Obverse: Susanna Blunt’s design of Her Majesty Queen Elizabeth II, along with the $200 face value and the year 2018. 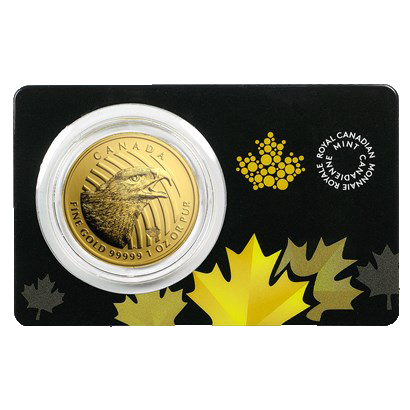 Reverse: Features a portrait of a Golden Eagle with gleaming feathers and open beak ready to catch it’s prey. 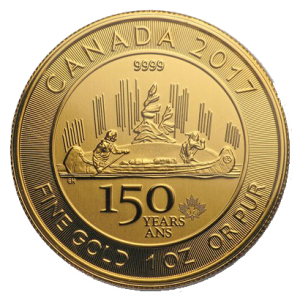 Guaranteed by the Royal Canadian Mint.